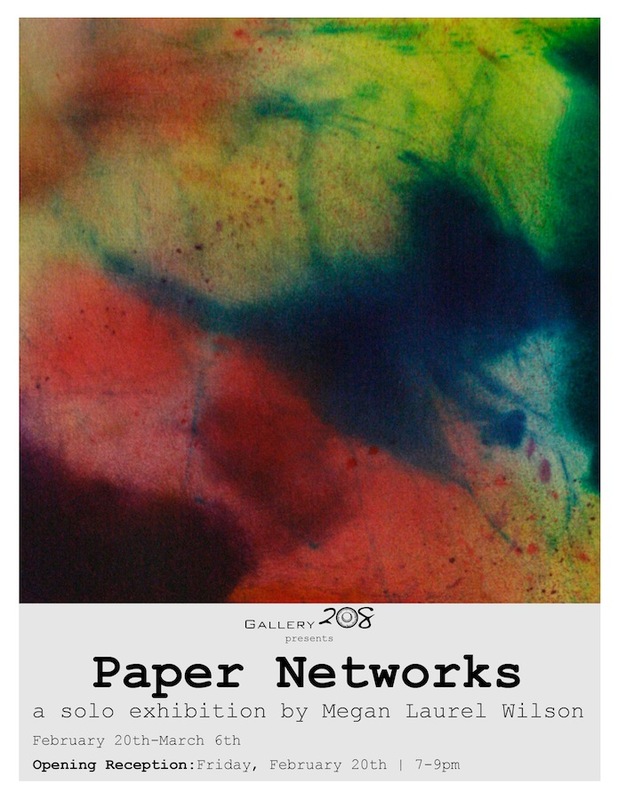 Paper Networks is a solo exhibition by Megan Laurel Wilson, whom is a 2016 MFA Candidate at Florida State University. The show will run from February 20th – March 6th, 2015. There will be an opening reception for Paper Networks on Friday, February 20th, 2015 at 7pm and will last until 9pm, in the Fine Arts Building.